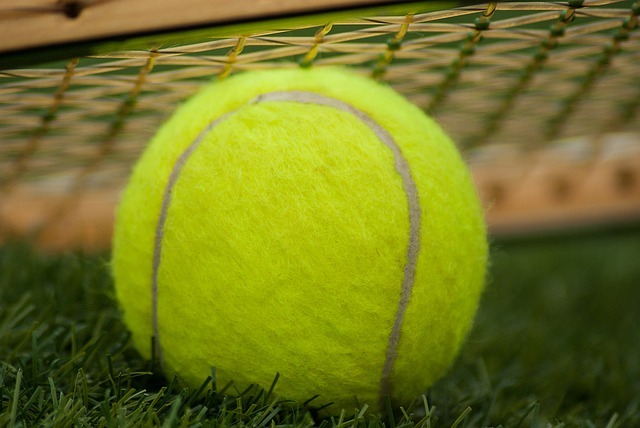 In Yellow, Fuzzy and Flat: Where Do Recycled Tennis Balls Go?, a September article in the New York Times, Ben and Scott Soloway show that it is possible to recycle tennis balls. Unfortunately, thousands of products like tennis balls get trashed every day because it costs more to collect, transport, and recycle them than it does to throw them away. But that doesn't mean trashing them is free. Read Scott Cassel's response on the PSI blog. The NWRA, the trade association representing the solid waste and recycling industry, requested CT DEEP release all extended producer responsibility (EPR) and product stewardship documents related to the state's waste management plan update, as well as all payments, contracts, engagement letters, correspondence, and other written communications between CT DEEP and PSI. Fulfilling this request will tie up the agency's time and resources as they search for and copy thousands of pages of emails and documents going back 16 years. 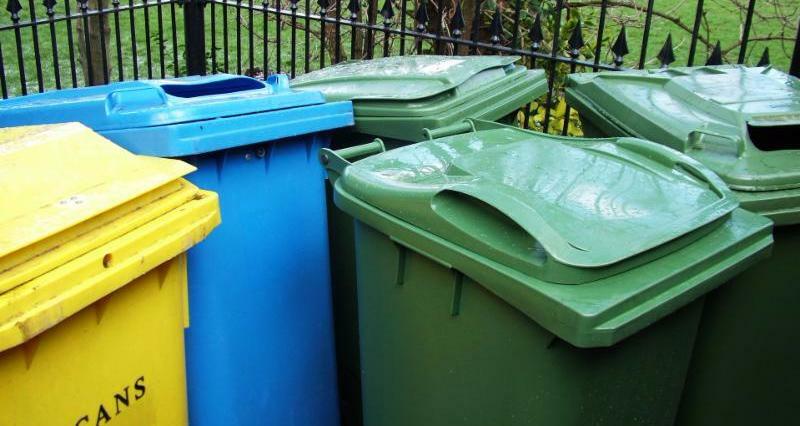 This action demonstrates the waste management industry's strong opposition to EPR for packaging, which CT DEEP and other states have explored with increasing interest over the past few years. (Oct. 27 at 2pm EDT) will highlight the role of haulers and recyclers in British Columbia's (BC's) packaging EPR program, which has achieved nearly 80% recovery and a contamination rate under 5%. This webinar features three of the key players in BC's collection and processing infrastructure, who will explain how the transition took place and the challenges they had to overcome. In the second webinar, How Do Packaging EPR Programs Impact Cost of Goods and Product Design? (Nov. 21 at 12pm EST), expert speakers including John Coyne from Unilever, Victor Bell from Environmental Packaging International, and Alexandra Lange from Eco-Emballages in France will explain how stewardship fees for packaging are structured within a wide array of international EPR programs, and how these fees impact packaging material choices and average product costs. Register today! Contact PSI's Suzy Whalen at (617) 236-8293 with questions. Over $1 billion in leftover drugs are flushed down drains, tossed in the trash, or relegated to medicine cabinets each year. When unwanted medications are flushed or trashed, they contaminate waterways and harm wildlife. Drugs left in the home can find their way into the hands of children or potential addicts, leading to accidental poisonings or abuse. Drug collection and disposal programs are a key strategy to reduce these serious impacts. 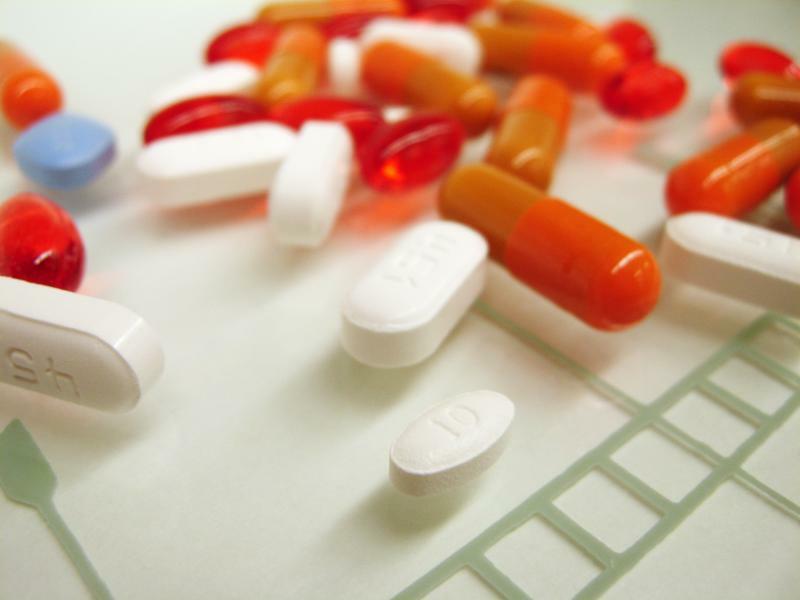 Although the number of drug take-back programs is increasing across the country, only a small fraction of the U.S. population has access, and many existing programs do not accept controlled substances. 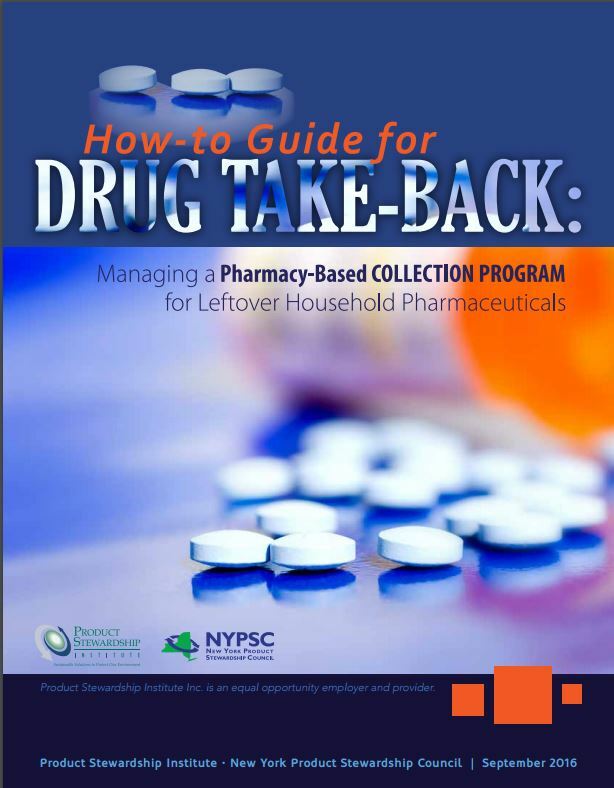 During a Sept. 21st webinar, Best Practices for Running a Pharmacy-Based Drug Take-Back Program, the Product Stewardship Institute and the New York Product Stewardship Council released a free How-to Guide for managing a pharmacy-based collection program for leftover household pharmaceuticals. The guide, informed by a USDA-funded six-month drug take-back pilot project, is designed to assist pharmacists, government officials, non-profits, community groups, and residents interested in starting a drug take-back program in a community pharmacy. Download the free How-to Guide and the webinar recording today. Although textiles are highly recoverable, reusable, and recyclable, 85% of unwanted clothing is thrown in the trash. These textiles make up 1.4 billion pounds of the municipal waste stream and have an estimated market value exceeding $130 million in New York alone. On September 15th, the Re-Clothe NY Coalition, in partnership with the New York Product Stewardship Council and the Product Stewardship Institute (PSI), launched a statewide outreach campaign to encourage residents to donate and recycle their unwanted clothing and household textiles. 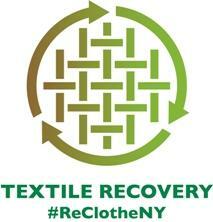 The Re-Clothe NY website contains an Outreach Toolkit and Media Toolkit that include sample social media posts, fact sheets, posters, and media alerts, making promoting textile recycling as easy as copy-and-paste for New York agencies, organizations, and community advocates. The Re-Clothe NY Coalition is comprised of textile recyclers, local governments, and non-profit organizations working together to increase the amount of textiles recovered for reuse and recycling in New York. During the spring/summer of 2016, PSI facilitated the development of Coalition standards that established common messaging and ensure transparency, data sharing, and the highest, best possible use of donated textile material. These standards serve as the basis for this year's outreach campaign and strengthen the Coalition, one of the first public-private partnerships of its kind and size. Questions about the campaign? Contact PSI's Suzy Whalen at (617) 236-8293. In an effort to preserve e-waste recycling programs in New York and ensure residents can comply with the state's ban on disposal of electronics, the New York State Department of Environmental Conservation (NYS DEC) will accept grant applications this October from local governments that currently pay for electronics recycling services. The legislature allocated $3 million from the state's Environmental Protection Fund for this program, intended to make up for shortcomings in the legislated electronics recycling program. A 2010 state law requires electronics manufacturers to provide New Yorkers with free and convenient e-waste collection and recycling. However, manufacturer funding has fallen short of the need and local programs have been forced to shut down or pay for recycling. While the NYS DEC funding is helpful in the short term, the Product Stewardship Institute and the New York Product Stewardship Council hope to implement a longer term fix - including stronger regulations and an amended law - in the months ahead. Thanks to the Product Stewardship Institute's (PSI's) help, Massachusetts passed the first state-wide law requiring pharmaceutical companies to pay for the safe disposal of unwanted medications. Massachusetts - as well as the nation at large - is facing a heartbreaking drug abuse epidemic as overdose deaths continue to rise. Now, for the first time ever, PSI is launching a fundraising campaign to support our work helping regulators implement the law and successfully set up convenient collection kiosks that make it easy for residents to drop off unwanted and expired meds during their next trip to the local pharmacy - one proven solution to negate the public health and environmental impacts leftover drugs can pose. Your donation supports PSI's on-the-ground efforts to set up convenient drop-off locations for leftover meds across the state. Donate today! Two years ago, the Product Stewardship Institute (PSI) worked with three universities in California to reduce the amount of single-use, disposable plastics (bags, bottles, cups and lids, straws, and plates) used in on-campus eateries. 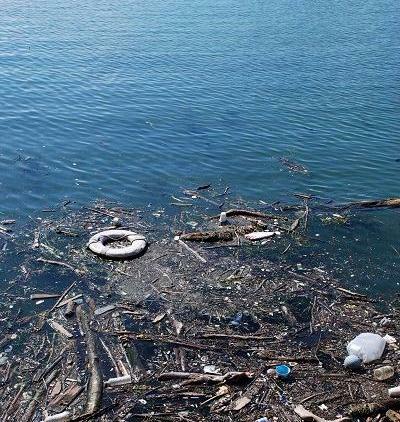 That project, funded by the U.S. Environmental Protection Agency (EPA) Region 9, culminated in the release of the Marine Debris & Plastic Source Reduction Toolkit for Colleges & Universities. Now, PSI is expanding that effort with a grant from the U.S. EPA Region 2 to reduce single-use plastics along Long Island's North Fork by working with local businesses, including waterfront hotels, restaurants, and campgrounds. For each business, PSI will measure its "plastic footprint," develop a source reduction plan, and create procurement policies to minimize or eliminate the number of disposable plastics used. PSI will also develop model municipal and tourism board policies that encourage waterfront businesses to reduce disposable plastics. The project will culminate with the release of a Marine Debris Prevention Toolkit for Commercial Properties that provides step-by-step guidance for coastal businesses nationwide to reduce their plastic footprint. Questions? Contact PSI's Megan Byers at (617) 236-4866. Faced with 8 million tons of packaging waste that comprise about 25% of California's waste stream, CalRecycle's director approved staff recommendations to develop a mandatory comprehensive, statewide packaging policy model guided by an extensive stakeholder process and to explore two complementary individual voluntary efforts. 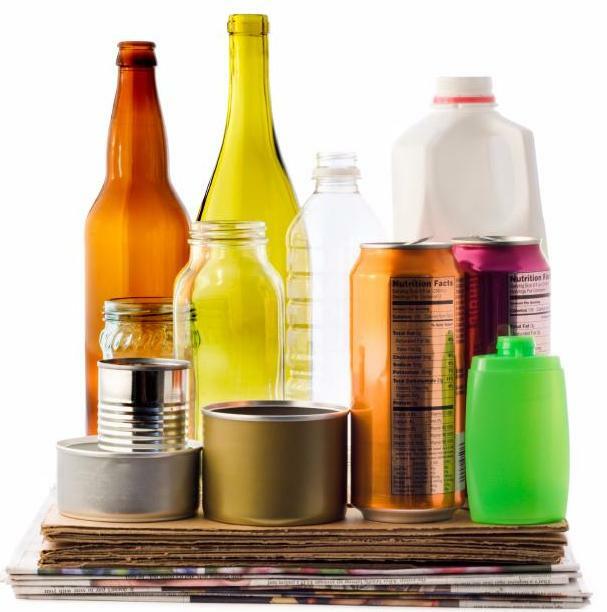 In January 2016, CalRecycle held a Manufacturers' Challenge workshop during which industry participants submitted voluntary strategies to reduce the amount of packaging entering CA landfills by 50% by 2020. Although manufacturers tend to prefer voluntary stewardship plans to mandatory EPR legislation, their underwhelming proposed plans prompted CalRecycle to develop a mandatory packaging stewardship model. According to CalRecycle's Cynthia Dunn, the agency will explore mandatory policy models, including extended producer responsibility. CalRecycle expects the process to conclude by late 2017 or early 2018. The model they ultimately develop will become a CalRecycle policy document available to parties interested in packaging legislation in the U.S. The U.S. carpet industry announced the extension of temporary funding for their voluntary product stewardship (VPS) program through 2017. This nationwide program - launched in 2015 for a limited two-year term by the Carpet and Rug Institute and the Carpet America Recovery Effort - provides financial incentives to carpet sorters who formally support VPS over extended producer responsibility (EPR) as a way to increase diversion of post-consumer carpet from landfills. Carpet sorters are not eligible to receive funds if they collect or sort carpet in states or municipalities that operate under EPR legislation and cannot support the development of EPR laws. Despite voluntary industry recycling programs, only about 7.5% of the nearly 3.9 million tons of carpet and rugs discarded annually in the U.S. is recycled. 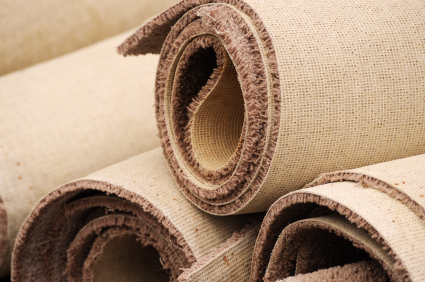 Currently, California is the only state in the U.S. with a carpet EPR law in place, although there is nationwide interest in passing similar laws - in 2014 and 2015, Illinois, Minnesota, and New York introduced carpet EPR bills. For questions on carpet stewardship nationwide, contact PSI's Suna Bayrakal at (617) 671-0616. Call2Recycle, the stewardship organization responsible for battery collection and recycling, collected 28,000 pounds of single-use batteries in the first six months of Vermont's single-use household battery take-back program, mandated by a newly-implemented extended producer responsibility law, the first law of its kind in the nation. This represents an increase of more than 2900% since 2015. 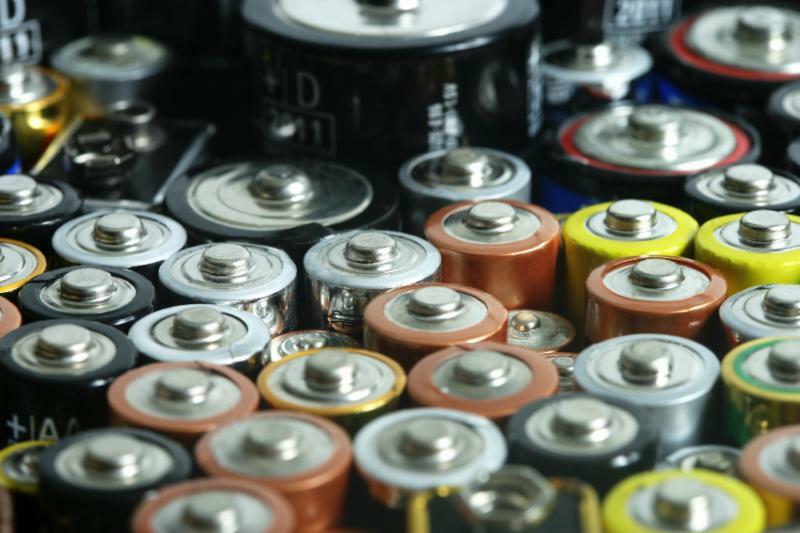 Rechargeable battery collections also increased, up 29% from the previous year. For more information on battery stewardship nationwide, contact PSI's Suna Bayrakal at (617) 671-0616. The City of Vancouver is no longer responsible for residential recycling collection, transferring the responsibility of curbside pick-up to MMBC, a non-profit stewardship organization, on October 3rd. Despite the switch, residents will only notice a change in the truck that picks up their recycling, and a missing recycling fee on next year's utility bills and property taxes. Most of the city's 37 recycling collection employees moved to other jobs in the city, including 27 new street cleaning jobs. This August, the City of Capitola and City of Santa Cruz (both located in Santa Cruz County) passed extended producer responsibility (EPR) ordinances mandating pharmaceutical manufacturers to finance and manage the safe disposal of leftover drugs and sharps. Seven counties and two cities in California, two counties in Washington, and two states have passed similar ordinances. For information about the Product Stewardship Institute's technical assistance on pharmaceutical EPR legislation, contact Vivian Fuhrman at (617) 236-4771.